Welcome to Action Jackson Music and Video Inc., a top quality media production company that can meet all of your audio and video needs! Established since 1990, we enjoy creating lasting memories and unforgettable images that help you get noticed. We do everything from Performing Arts, Acting Reels, EPK's, Corporate Events and special events such as Weddings and Bat Mitzvahs. 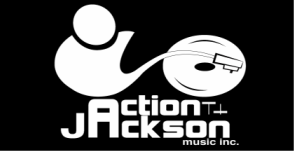 Action Jackson Music and Video Inc.